Mainstream Technologies is making an investment in the future by donating funds to upgrade a computer forensics lab at the University of Arkansas at Little Rock that will teach students invaluable skills for their future careers. UA Little Rock named its computer forensics lab in honor of Mainstream Technologies during an Oct. 12 ceremony showcasing the lab, which is housed in the Engineering Technology and Applied Science building. 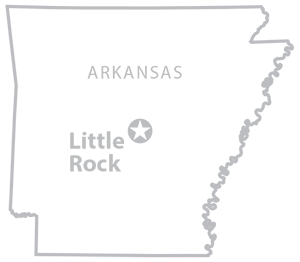 Mainstream Technologies’ sponsorship of the lab will cover upgrades to the lab technology, including separating the computer lab’s network from the campus network. This will prevent the university’s network from receiving security alerts while students at the lab are practicing computer forensics, cyber security, and hacking skills. John Burgess, president and CEO of Mainstream Technologies, said that UA Little Rock and the Donaghey College of Engineering and Information Technology are important community partners, since UA Little Rock graduates fill 20 percent of Mainstream’s workforce. Burgess was joined by Steve Althoff, director of software development, Holt McConnell, director of marketing, and his daughter, Ally Burgess, while celebrating the lab dedication. Dr. Carolina Cruz-Neira, interim chair of the Department of Computer Science and director of the Emerging Analytics Center, is grateful for the donation that represents a new focus on industry and business partnerships for the department. 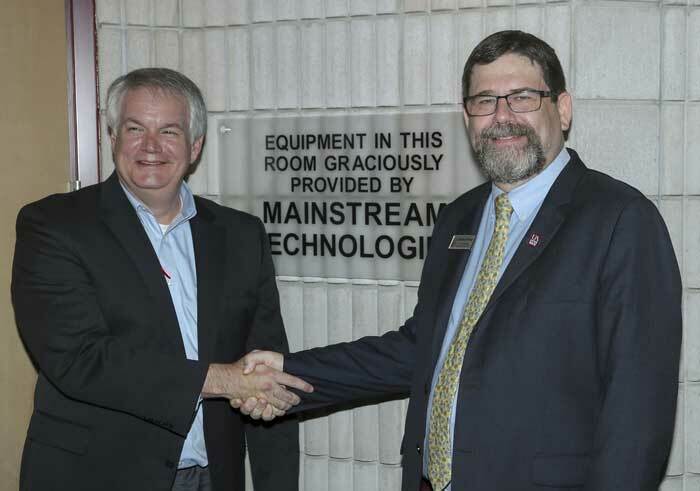 In the upper right photo, John Burgess, president and CEO of Mainstream Technologies, shakes hands with Dr. Lawrence Whitman (right), dean of the College of Engineering and Information Technology. Photo by Ben Krain.